A week ago was my older brothers birthday. Robert is fourth child to my parents and not even sure how much older he is than me maybe 12 years? He and his lovely wife have 7 children of their own, that is right 7 children... Terence, Rhen, Acacia, Dallin, Angela, Joe & Noelle. My brother has a couple of jobs to keep him busy. 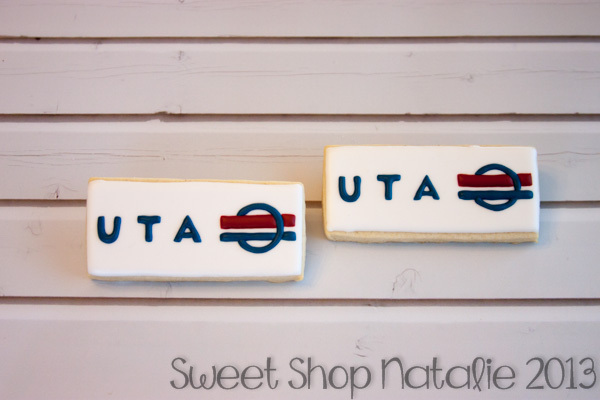 He has a full time job and then he also drives bus for the local transportation company here in Salt Lake City. It's a good gig I think, he drives the bus that takes him two and from his full time job, so he gets paid to make his commute! Smart! 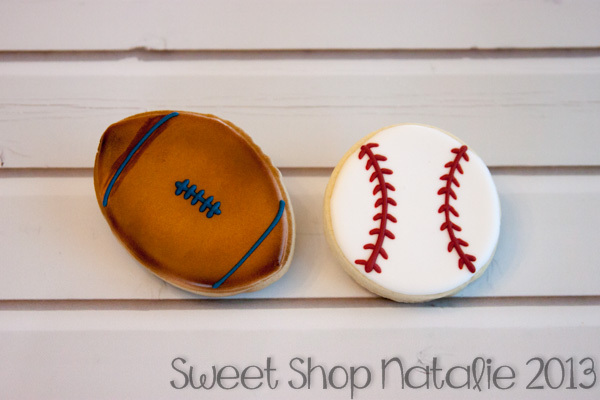 I put in a couple of sports cookies in his box. The football one to represent his many years of supporting his two oldest boys quest in sports which started when they were in middle school and went through their college years! I put in a baseball as well because I think that is the sport that he likes more. Maybe I am wrong but I think he enjoyed playing baseball when he was younger. 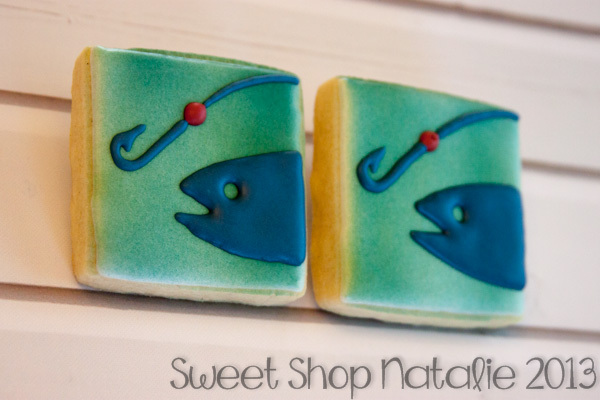 His wife says he likes to do recreational activities but his favorite is fishing so some fishing cookies were in order. These next cookies I was not sure how I could cookify them. Robert is a big story teller. Our family loves to hear stories of the older kids and their shenanigans! You can get the stories from my other two oldest brothers but if you want to hear an embellished one then you need to have Robert tell it! So when I asked Nina, Robert's wife, to share some of his hobbies and interests she mentioned that his children always thought he was in the Navy! 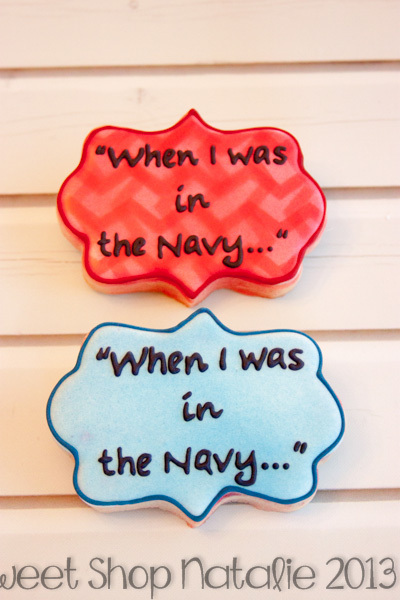 He wasn't in the Navy but he use to always tell them stories and he would start with "When I was in the Navy...."
That totally cracked me up and I thought it was perfect way to show in a cookie that he is a great story teller! 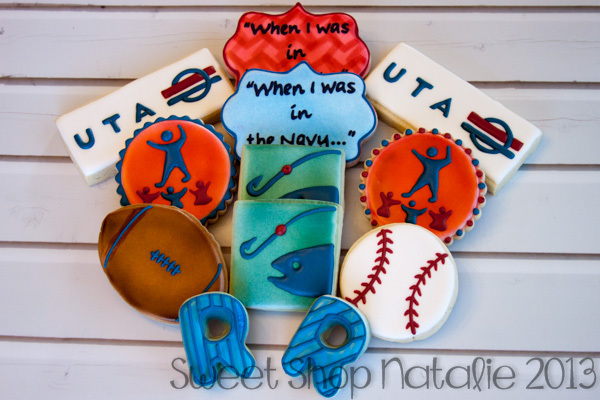 Now these cookies I am not even sure if he knows what these next cookies represent. These represent my fondest childhood memory of my brother Robert. 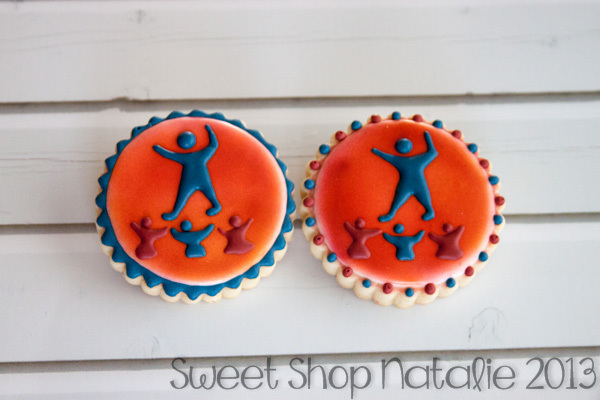 These cookies are titled "Little People". Happy Birthday Robert, I hope you had a great day! !